The Isio is powered by a 3.6V Lithium-ion battery and when fully charged can run up to 50 minutes. The Bosch Anti-Blocking System (ABS) prevents stalling and aids continuous cutting: if thick grass can’t be cut through immediately, the innovative micro-electronics detect this and instantly adjust the running direction of the blades. The Isio Shape and Edge has a comfortable soft grip handle, and being lightweight at only 550g, it’s comfortable to use for long periods. The Isio is easy to charge: it comes with a simple mobile phone-style charger and the tool displays a green light when charging. It’s four-stage LED battery status indicator clearly shows you how much battery life is left, so you know when you need to charge: when the indicator shows completely green, the Isio is fully charged; when the green light starts flashing, the battery has 20% capacity left; and when the indicator turns red, the Isio requires charging. 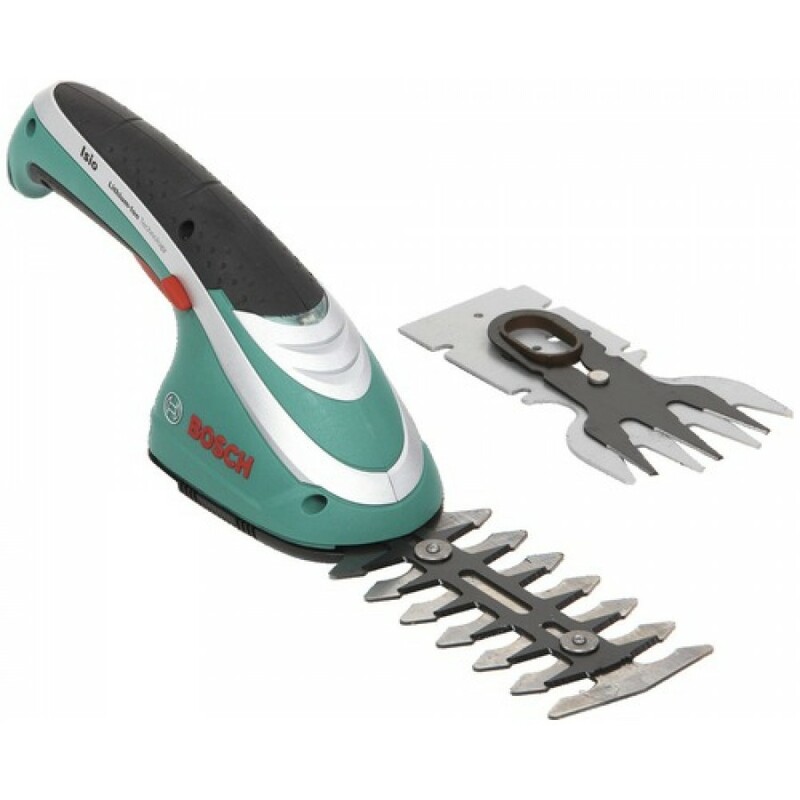 Easy blade changes The Isio Shape and Edge comes with two blades: one for shrub shearing and one for the lawn edging, which are very easy to change. The Isio’s performance varies depending on the conditions of your lawn edges, which will have an overall effect on the battery running time.